Over the course of the Grand-Prix weekend, from Thursday 25th to Monday 29th May, The Columbus is opening up it’s prestigious pop-up restaurant, ‘Roseto’. The food, wine and company promises to be truly first class. Guests will be able to select from a delicious Mediterranean menu that consists of healthy and fresh local produce, prepared by their array of world-class chefs. The Columbus Hotel itself has always been associated with chic hospitality, authenticity and simplicity. There is a reason that it has a long-standing reputation as the drivers favourite hotel. 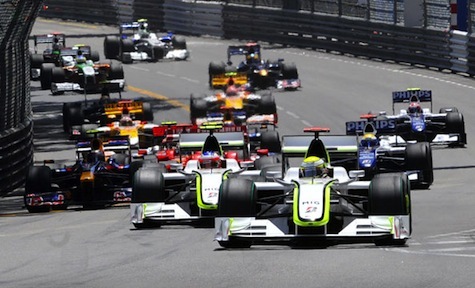 Expect to share the experience with the Formula One drivers themselves, F1 Professionals and of course the incredible F1 fans, arriving in Monaco from all over the world. The opportunity to wine and dine at the Roseto Pop-Up restaurant is a truly unique Formula One experience. The weather looks like it will be absolutely stunning; blue skies and sunshine! Here at CityOut Monaco we believe there is nowhere else better to enjoy the Mediterranean soleil during your F1 downtime than the Roseto Pop-Up Restaurant at the Columbus Hotel, Monte-Carlo.